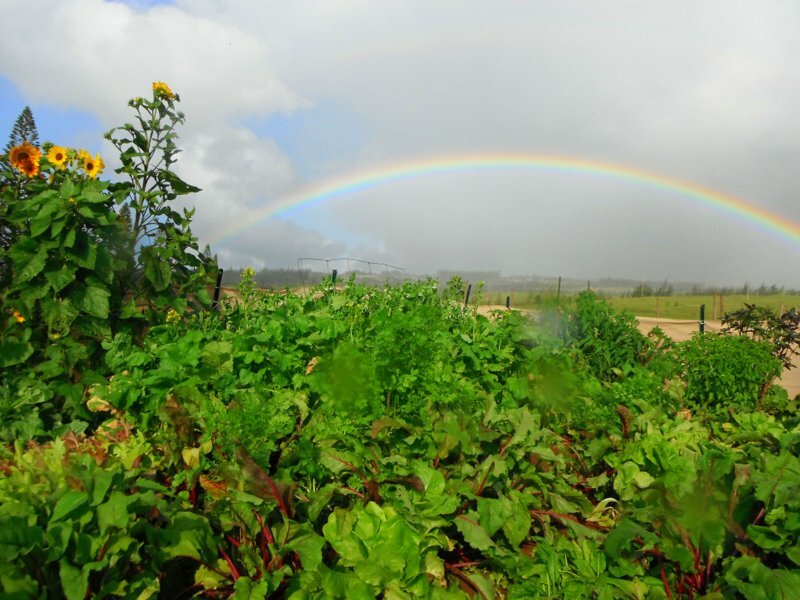 Napili Community Garden | A place to share knowledge, friendship, family and food. We are a community organization of gardeners organically farming plots to grow food for our families and community. Our mission is to cultivate a community rooted in sustainability by providing a place for cooperative organic gardening. The Napili Community Garden Council is made up of an active, enthusiastic and engaged group of gardeners who have been busy building infrastructure and refining the structure and governance of our community organization. Ulupono Initiative has generously subleased 5.4 acres of land just above Honoapi’ilani Hwy for use as the Napili Community Garden. The garden is located on former pineapple lands (leased from ML&P) that have been out of production for a sufficient period of time to be eligible for organic certification. The Napili Community Garden is a project of Tri-Isle Resource Conservation and Development, a 501(c)(3) Non-Profit Organization. The Napili Community Garden is managed by a group of volunteers to keep the garden open and running. The council recruits new gardeners, collects dues, pays bills, enforces rules and adherence to lease terms, organizes community work days, builds infrastructure, and keeps the water flowing. There are no “Owners” at the garden…the land is provided by Ulupono & the rest is up to volunteers to keep the garden growing. The Garden Council is open to all gardeners of the Napili Community Garden…and we need your help! Please kokua and join the council. Meetings occur monthly at the garden, typically on the last Saturday of the month. The garden gratefully accepts tax-deductible donations to help keep the garden growing. If you are interested in supporting the garden financially or with equipment and supplies, please contact the garden using the form at the bottom of the page. Hurry!! Limited plot availability…get one while you still can & join the fun of growing healthy organic food in your very own garden. We are now accepting applications for new gardeners! You can either fill out the contact form below requesting a plot, or email us at napiligarden@gmail.com. Please visit our Facebook page for current news, events and updates. Stories, photos and other information can be sent to napiligarden@gmail.com. We ask all Gardeners to please take the time to fully review the Rules and By Laws page, as they are essential for our community to work effectively together.